Anusha maheshwari loses her battle against depression when she decides to take her life by jumping off a bridge. But, an unexpected meeting with the spiritual guide in her afterlife lands her back on Earth. However, she is sent back with a purpose and a looming deadline. The purpose involves finding her boon; a special quality which each soul has been blessed with (as informed to anusha by the spiritual guide) from the time of birth. While trying to figure out her boon, another twist comes in her way. Her grandfather asks her to undertake a journey on his behalf. A journey he was meant to undertake to read the letters left behind by his father and anusha’s great grandfather. Anusha sets out on this journey which takes her to yukteshwar ashram in dharamshala. While on the path of collecting letters at the yukteshwar ashram, she even starts developing feelings towards her Guru, Raghav Shastri. Amidst all this, will anusha succeed in finding her boon? More importantly, what will happen if she doesn't succeed in finding her boon within the stipulated deadline? 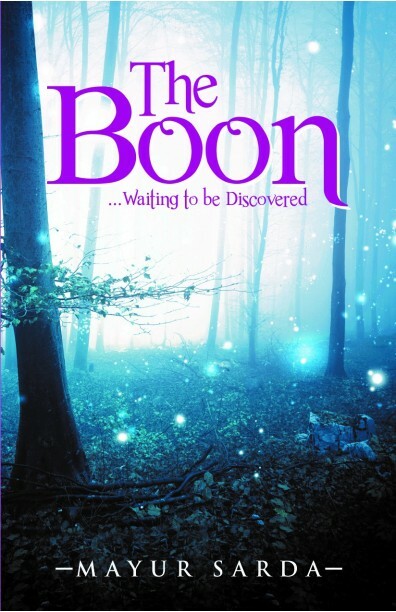 The boon...Waiting to be discovered is an exciting and inspirational journey you take with anusha in search of your own boon.